Crumbs and Cookies: earl grey white chocolate bonbons. Happy Valentine's Day all! I never used to bother making stuff on this day but I decided to this year for an excuse to bake. Valentine's Day is very much centered around chocolate and I while I had plenty other options (brownies, cookies, etc. 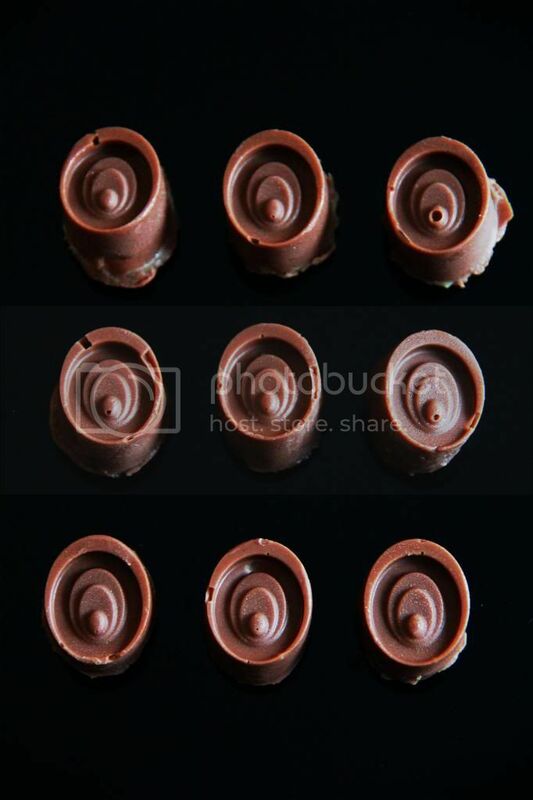 ), I interpreted the theme in a very literal sense and made chocolates. Well, bonbons to be exact. The shell is made of milk chocolate while the filling is a earl grey white chocolate ganache. I ran out of it towards the end though so I filled the rest with adzuki paste. 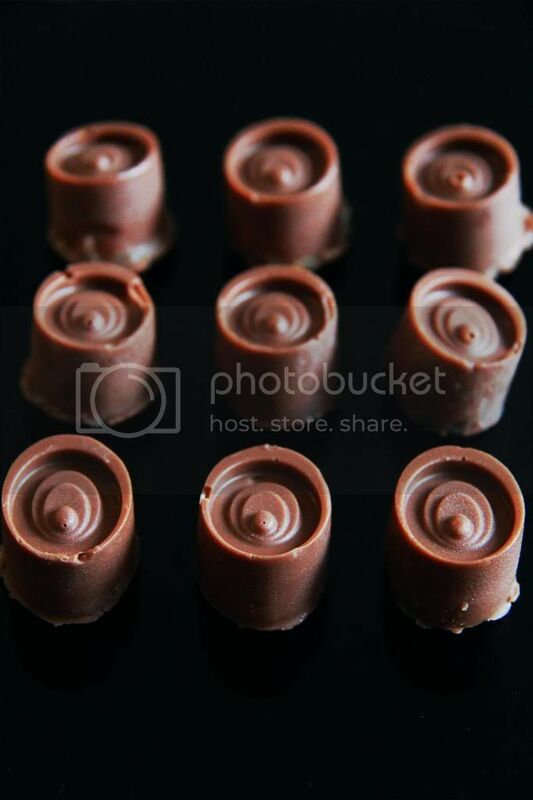 This was my first time making bonbons so I didn't quite know how to go about making them cleanly. 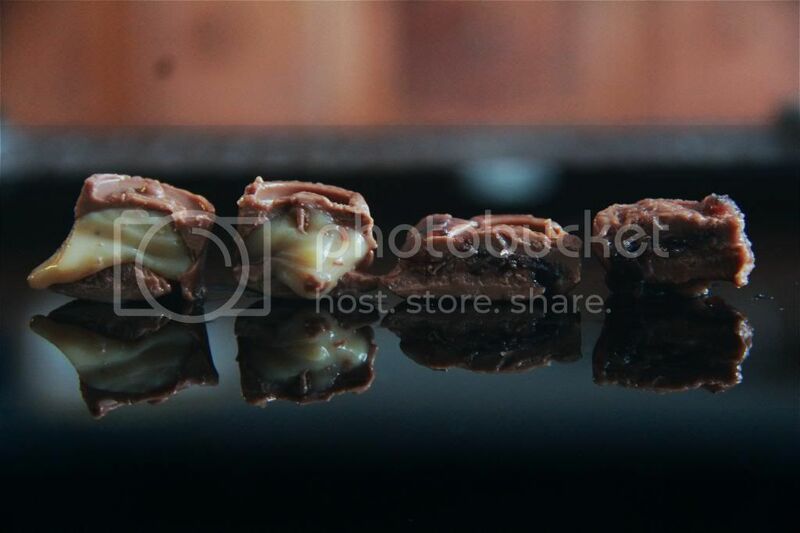 As you can see, the bonbons are not very level and some of them have frills extending out from the bottom. That, I realised belatedly, is because I had overfilled the shells so the encasing layer of chocolate jutted out from the mold. Not to mention the tiny holes in the shells where the pattern is because I didn't manage to brush the chocolate into the nooks and crevices. Plus, some of the bonbons weren't sealed properly. I think the first thing I can do to make my life easier is to get a proper brush to spread the chocolate evenly around. The white chocolate ganache is a little fluid so I found it hard to work with, but I like its consistency because you can eat it straight from the fridge and have the centre all melty like it should be. The presence of the earl grey is pretty strong too. Yes making these can be considerably time consuming and sometimes nerve wracking but I feel like they allow a lot of room for fun and creativity so I'll be using my chocolate molds again really soon! Brush the insides of the mold with the tempered milk chocolate. Leave in the fridge to set while you make the ganache. Combine the heavy cream, milk and tea leaves in a saucepan, bring to a simmer, turn of the heat and let the mixture stand for 5 minutes. After which, bring the mixture to a simmer again and then strain into the bowl of chopped white chocolate. Stir until the milk-white chocolate mixture is combined. Stir in the butter. 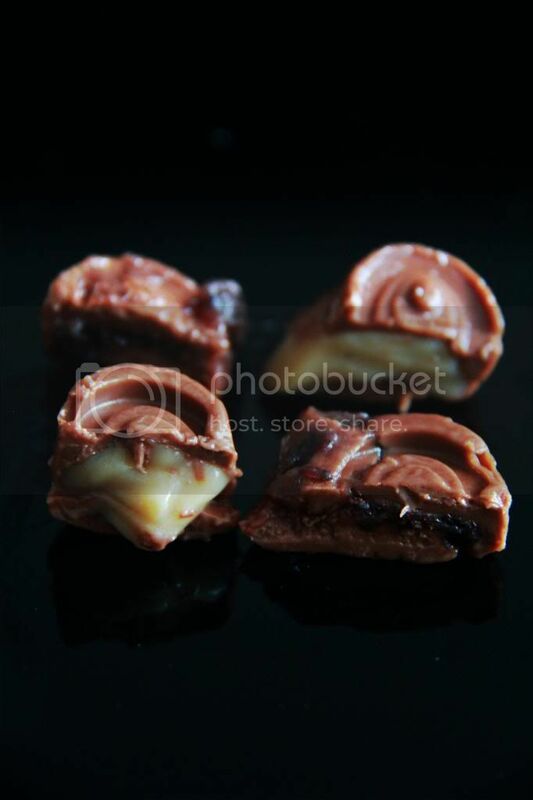 Retrieve the milk chocolate shells from the fridge and fill them with the cooled white chocolate ganache. Be careful not to overfill them. Chill in the fridge until the ganache is set. Top the ganache with a layer of milk chocolate. 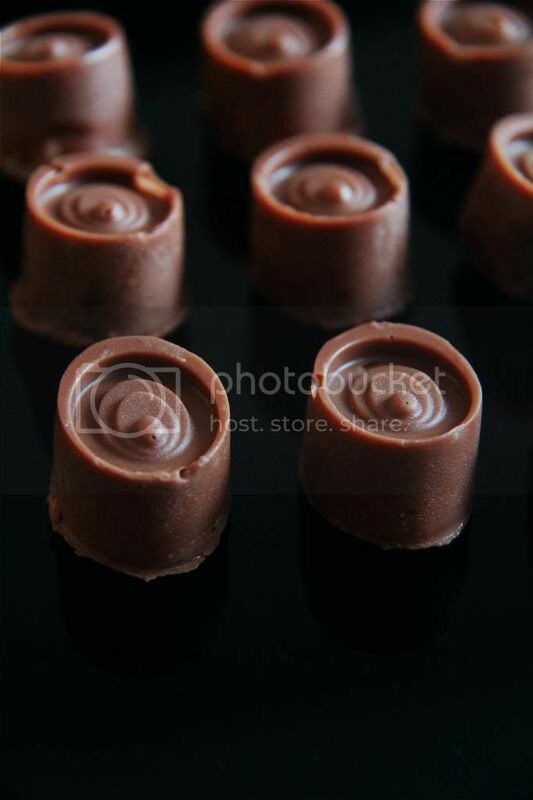 Refrigerate the chocolates for at least 1 hour or until completely firm before serving.